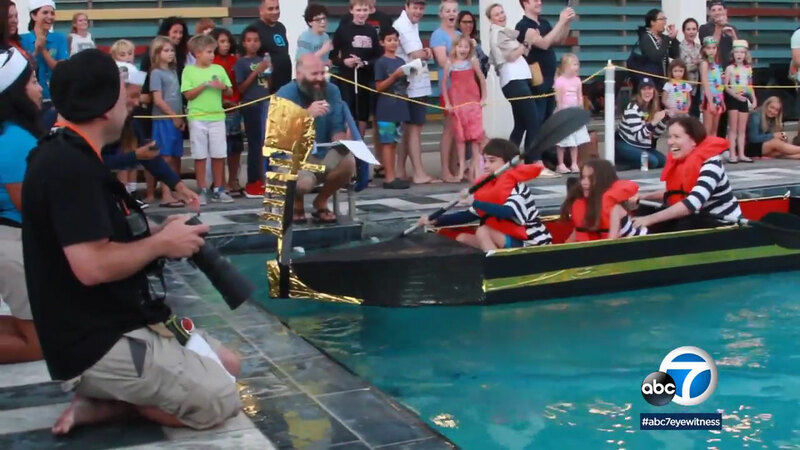 SANTA MONICA, Calif. (KABC) -- It was the seventh annual Cardboard Yacht Regatta. The pool at the Annenberg Community Beach House in Santa Monica served as the ocean. All that's there was cardboard and duct tape, which held the boats together. The races featured two-person teams. No motors were allowed. Awards were given out for first, second and third place. Awards were also given for fanciest yacht, most likely to sink, most spirited crew and people's choice. The race has become the unofficial end of summer event for Santa Monica.